Hardened carbon steel, alloy steel, tool steel, (SxxC, SCr, SK, SKS). I bought it for the first time. A completed byte is scraping and it is surprising to be able to scrape away quickly I would like to purchase again if it decreases. This review is about item#7699492. For goods, quality is better than I imagined and I am very satisfied. This review is about item#07699483. It was convenient for detailed work. Particles are stable and easy to use. This review is about item#7699535. I have ordered many times repeatedly. Every time Monotaro says it is cheaper than purchasing where I bought it from. This review is about item#7699596. I use a sickle where I can not cut beautifully with a grass cutter. I bought it for regular sickle blade polishing. Is good. This review is about item#7699483. I want a size of about 180 mm if I can. The feeling of the stone looks good. This review is about item#7699544. I like the product. A word as a person who always uses a grindstone. I bought two pieces this time, please stop sending them in layers naked. Cracks and cracks are entering the accident. This review is about item#7699501. 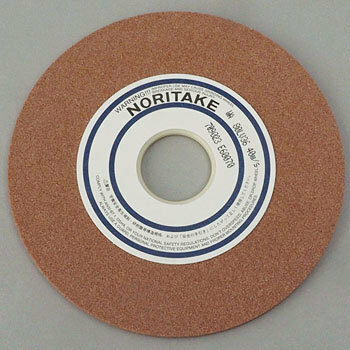 I use it to sharpen the grass cutter blade (bamboo blade). I think that it fits the blade with a smooth grinding comfort. I also wanted to buy the same thing next time. This review is about item#39474102. This review is about item#06727393. I attached it to the desktop grinder I got. I had a pleasant answer when listening after calling without knowing the hole diameter. Employee training is good evidence. This review is about item#06727375.